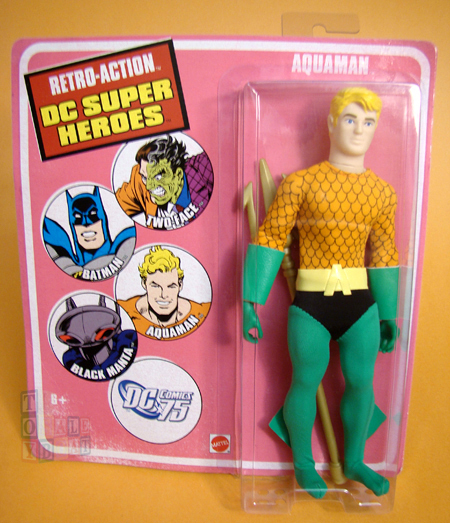 Our nineteenth reveal in the "Win What You Want" Giveaway is Aquaman from Mattel's Retro-Action DC Super Heroes line. The phrase of the day for Thursday, March 29 is "Did I ever tell you about the time I saved the whole planet on Earth Day? I call the story, The Tale of the Earth Day when Aquaman Saved the Entire Planet." Post that phrase exactly as it appears here as a comment to this Facebook post and your entry is complete for today. "Did I ever tell you about the time I saved the whole planet on Earth Day? I call the story, The Tale of the Earth Day when Aquaman Saved the Entire Planet."